Richard the Lionheart spoke no English and he spent just ten months of his ten-year-reign in England. He tried to sell London if he could but find one to take it to raise funds for his crusade to free the Holy Land. 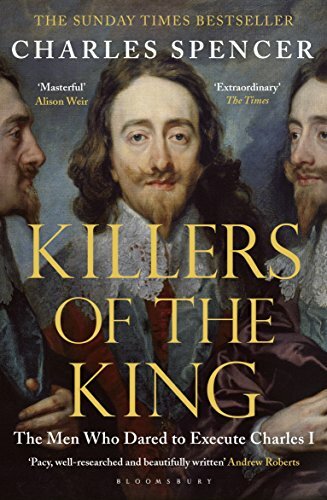 When he was imprisoned on his way back home, his mother forced every soul in England to contribute a quarter of their annual income to ransom him from captivity. Returned, he raised taxes yet again to finance the construction of one of the most expensive castles ever built in Europe. 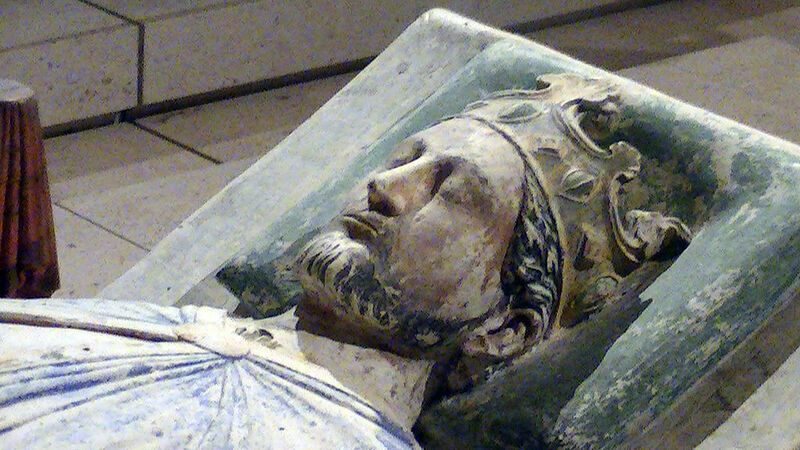 Through his exploits on crusade and his association with Robin Hood, England's famous if legendary national hero, King Richard I has to be one of the best-known English kings. 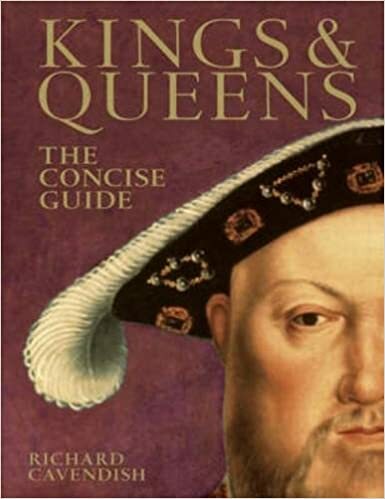 But dig deeper and it becomes a little less obvious why he's regarded as an English hero in his own right. 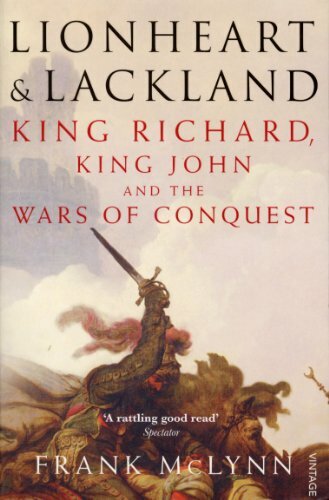 Born on 8th September 1157 in Oxford, Richard was Henry and Eleanor's fourth son. He was his mother's favourite and grew up in her Duchy of Aquitaine in the society of soldiers and troubadours. He was well-educated and reasonably pious, and could split a man's head down to his teeth with a sword as easily as he could compose a song about it. 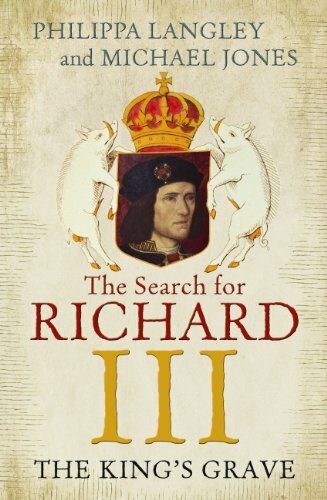 Richard was very tall and well-built and had inherited his father's red hair and grey eyes. Allegedly he also had his father's fearsome temper, which may explain why the two never saw eye to eye. As was the custom amongst most titled families, Richard rose in rebellion against his father, sometimes on his own and sometimes supported by his brother or even his mother. When he gained the crown of England on his father's death in summer 1189, he had no intention of moving north to rule his new kingdom. He'd taken the Cross and made a vow to free Jerusalem from the Saracens two years previously and was impatient to honour that vow and go on crusade. But for that he needed money. He had his mother freed from captivity and installed her as one of his regents before being crowned King Richard I in Westminster Abbey on September 23rd, 1189. Coronations are costly affairs, as are wars, and the new king spent the next months raising as much money as he could. 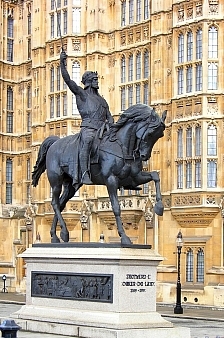 Richard the Lionheart sold lands, offices and positions, he raised taxes and levied fines, and even struck a deal with William the Lion to sell him the feudal authority over Scotland. Then he sailed for France, having declared his nephew Arthur of Brittany as his heir, and having bribed his younger brother John to stay out of England while he was gone. Richard gained his nickname 'The Lionheart" on the battlefield, where he showed great personal courage. He could inspire men, but he could also make enemies and on the way to the Holy Land he quarrelled bitterly with King Phillip of France. Richard had been betrothed to Phillip's sister Alys for many years, but had so far avoided marrying her because rumours had it that she'd been his father's mistress and had even born him a child. Now he informed the French king that he would marry Berengaria of Navarre, whom his mother was escorting to Sicily to meet him. Phillip fumed at the insult, but there was little he could do. After excursions through Sicily and Cyprus, the Crusader army eventually reached Acre at Whitsun 1191, managing to relieve the beleaguered city by July 11th. 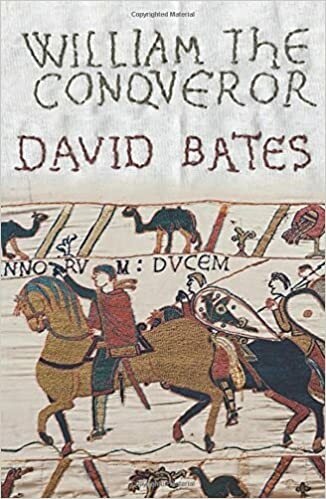 But dissent was rife in the crusader's camp and on August 3rd, King Phillip of France abandoned the crusade and set sail for France, while Richard the Lionheart took on Saladin in a pitched battle, before marching on Jaffa. Forced by illness and supply issues to retreat back to the coast, Richard next sought to end the war by diplomacy, offering to marry his widowed sister Joanna to Saladin's nephew. But this attempt, too, came to nothing. Already in difficulties, the news that his brother John was plotting to take the English crown with the help of the French king pushed Richard into a corner. He had again to retreat from Jerusalem without having fulfilled his vow and now had to contemplate leaving the crusade and returning to England. While he agonised, Saladin re-took Jaffa. The immediate threat stirred Richard into action. He staged a daring amphibian rescue and - heavily outnumbered - put Saladin's men to flight by - it is said - the sheer force of his personality and courage. And having negotiated a three year truce that guaranteed Christian pilgrims access to the Holy City, Richard the Lionheart set sail for England. Ship-wrecked on the return journey, Richard was taken prisoner by Duke Leopold of Austria - yet another man who he had made an enemy of. Duke Leopold imprisoned Richard in his castle of Durrenstein and demanded a ransom of 150,000 marks to free him. Once Richard's plight was known, Queen Eleanor worked tirelessly to raise the huge sum. Just as Richard's brother John and the King of France worked tirelessly to keep Richard shackled forever. Phillip of France had invaded Normandy and hoped for more time to make it his. But Richard was released and - on his return - rapidly put Phillip's troops to flight. Returned to England, Richard the Lionheart stayed only long enough to settle a few scores and raise more money. His next project had little to do with piety. 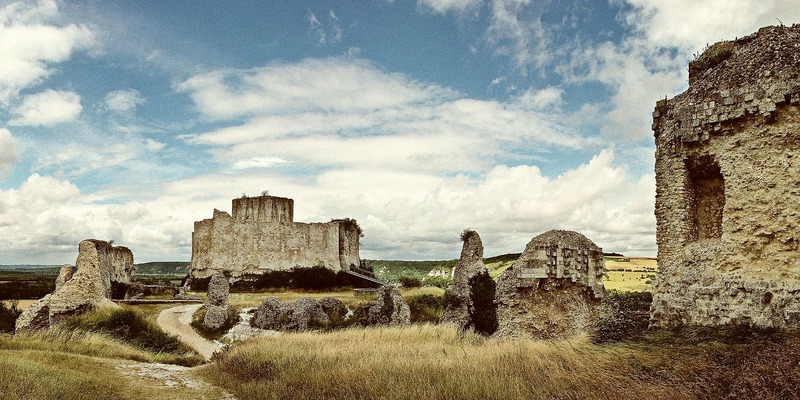 His lands were under threat from the French king and Richard spent the following years building strengthening his borders - by building the famous Chateau Gaillard, the "Saucy Castle", high on a rock at Les Andelys. The French king, who saw the castle as an affront once boasted that he would take it, "even if its walls were made of steel". Richard the Lionheart didn't think too much of Phillip's military prowess and retorted that he would hold it "even if its walls were made of butter". He can be said to have been right ... Castle Gaillard may be ruined, but it still proudly guards the river at Les Andelys. Richard's last years were spent fighting his barons. He only rarely saw his wife and the couple had no children. When he died from gangrene at the siege of Chalus - a mindless squabble over an alleged hoard of Roman gold - he was only 41 years old. Richard the Lionheart was a celebrated soldier and a courageous battle commander. But as King of England he'd been an abject failure. 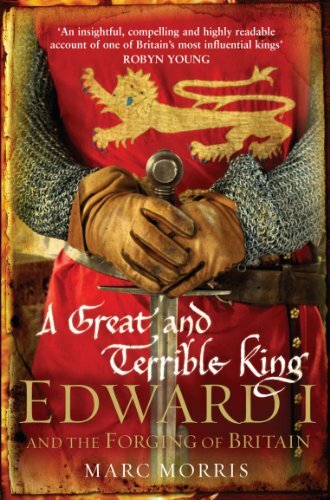 That England continued to recover from the devastation caused by 40 years of civil war, that laws were observed and trade grew, that he could spend so little time in the country even - that Richard the Lionheart owed to the efficient administration his father had put in place years earlier.